Last year's Christmas tree, at 3 in the morning after the last gift was finally wrapped and put in place. The house was quite and the tree lit, and it felt like Christmas. I think I am going to use this page for my inspiration for a December Daily this year. 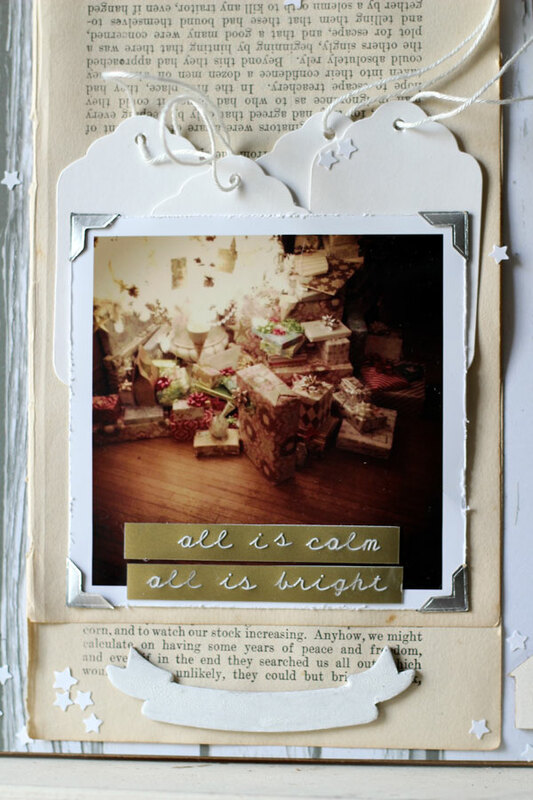 Lots of white, tags, book pages, silver, houses, stars, gold, confetti, grey.. 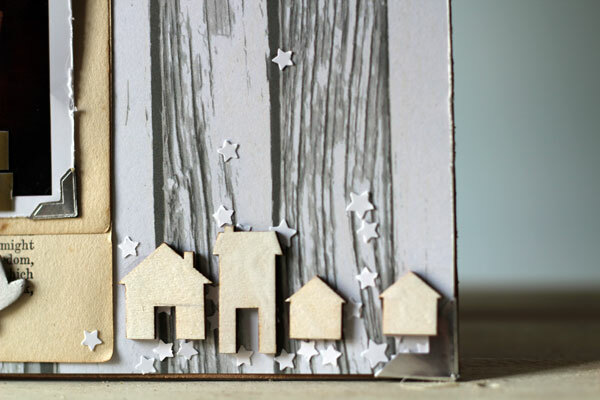 I punched lots of little stars from the blank white photo paper I cut off of the square photo on a 4x6 print. 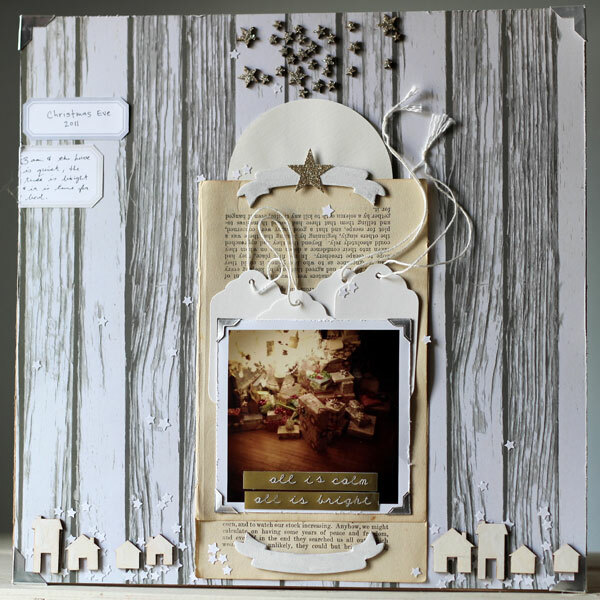 The Maya Road chipboard banner is painted with a very fine layer of Tim Holtz white crackle paint, so it just shows very very fine crackling. 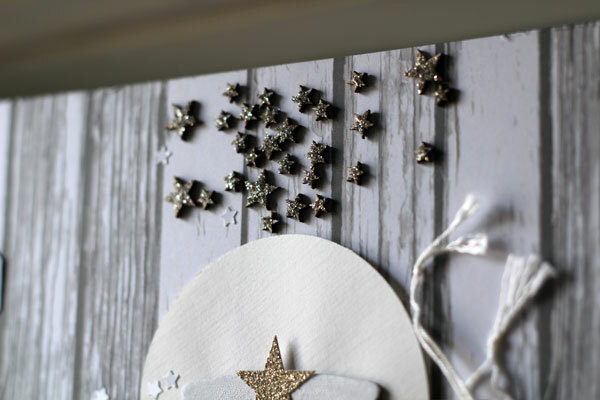 Studio Calico wood veneer stars covered in German glass glitter! LOVE. Oh my, its so Christmassy! What is a December Daily? That is beautiful. I love how the photo is framed with the two banner shapes and the half circle. The stars are the icing on the cake! You're awesome. This is stunning!